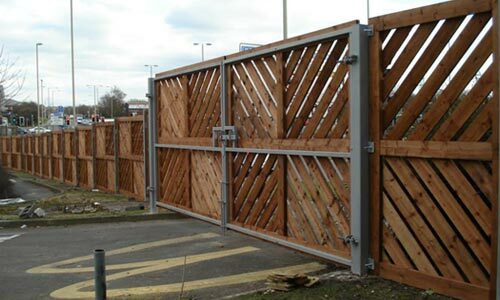 Protecting your premises from intruders as well as keeping your staff compliant with various Health & Safety legislation can be made much easier with the installation of proper security gates and metal fencing. Electric gates provide you with peace of mind that your stock and premises are all secure as only authorised people can gain access. For any queries relating to commercial work you may want us to carry out, you can trust Forward Fenceline to design and implement the best fencing and gate solutions possible. Don’t hesitate to contact us if you would like to enquire about our services. Call now on 01773 744 428.